We are the MTV Staying Alive Foundation (SAF), the brains behind MTV Shuga! We have two decades of experience in producing & implementing HIV prevention and Sexual and Reproductive Health and Rights (SRHR) international mass-media behaviour change campaigns, complemented by the work we do with young people on the ground. At the core of each MTV Shuga campaign is a multi-award winning African TV drama, accompanied by radio, digital and social media, which blends SRH messaging with fictional stories young people can relate to. High-quality production, entertaining storylines and the youth-relevant MTV brand attract extensive youth audiences, and immerse them in the content. Through the storylines and characters, the campaign transmits SRH information and subtly shifts the beliefs and feelings that drive behaviour. There have been six seasons of MTV Shuga, set in Kenya (two series), Nigeria (three series) and South Africa (one series). 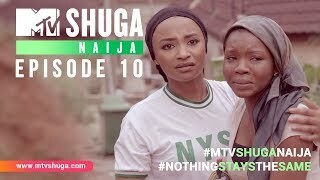 MTV Shuga has been broadcast in 72 countries globally. MTV Shuga has reached 96% of sub-Saharan African countries. Season 5 (the last with complete broadcaster information) was broadcast by 179 broadcasters, including major terrestrial broadcasters across Africa. These broadcasters have a potential reach of up to 720m people. During Season 6, SABC 1 (a South African terrestrial broadcaster) had weekly views of almost 3m. On SABC 1, MTV Shuga reached 44.8% of low income audiences in South Africa. Season 6’s social content had almost 3m impressions on Facebook, and 2.2m on Twitter. In total, there have been 18m views of MTV Shuga on YouTube, with 151m minutes watched. A World Bank study of MTV Shuga showed that individuals who watched the show were 35% more likely to get tested for HIV and the prevalence of chlamydia was 58% lower among them. During Season 5 we represented Marie Stopes’ services in the drama and displayed their contact number at the end of episodes: they saw a 17.9% increase in calls; a 46.6% growth in website visitors; a 215% increase in Blog visitors; and a 188% spike in Facebook views. As well as the mass media work, we deliver peer education programmes to accompany MTV Shuga campaigns. The peer education work involves training young people as sexual health educators, who then go into their communities and use MTV Shuga as an educational resource. It helps us to reach populations that are under-served by TV and other mass media, with sustained, in-depth educational content. The last completed programme in Kenya reached 8,000 young people. As well as delivering SRH education at scale through MTV Shuga, SAF also reaches out to young populations at a high risk. To do this, we mobilise young leaders to be agents of social change. We provide resources, training, mentoring and ongoing technical support to youth-led initiatives, helping them to deliver HIV services and peer education programmes in their local communities, read more about our youth-led programme here.